The Positively Kids team consists of dedicated professionals, each with their own area of expertise as well as personal experiences. Positively Kids also has approximately 50 licensed staff members. The pediatric staff consists of Doctors (MD’s & DO’s), Nurse Practitioners, Registered Nurses (RN’s), Licensed Practical Nurses (LPN’s) Certified Nursing Assistants (CNA’s), plus Developmental Specialists, Physical, Occupational, and Speech Therapists who assist the children in our programs every day. Each staff member is chosen for their ability, energy and enthusiasm to develop and maintain our current and future pediatric programs. The Positively Kids’ staff is among the best educated and professional in the state. Their vitality, commitment and shared purpose offer a work environment noted for its teamwork, respect and kindness to one another, and to the children and families we serve. With over 35 years experience in health care management, Fred has directed the financial, marketing and board capacity building activities for numerous healthcare organizations. He began his career in Michigan as Director of Respiratory Therapy at Bi-County Hospital. In 1974, Fred relocated to Florida, where he assumed the Directorship at Bethesda Memorial Hospital in West Palm Beach, and later, the start-up of the Pulmonary Care Department of Community Hospital of the Palm Beach, a 250-bed acute care hospital. He also served as a Respiratory Care Program instructor for a private school in Ft. Lauderdale and, after receiving his Physician’s Assistant Certification, went on to manage various private clinics and physician practices. 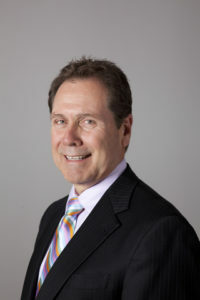 In 1995, Fred relocated to Las Vegas to assume the position of CEO for Total Home Care, a Home Health Medical Equipment and Home Infusion Company. As Executive Director of Safe Harbor Hospice, he also supervised the construction of “Harbor House”, a 24-bed inpatient facility — one of only two such facilities in Clark County. Rita has been with Positively Kids almost 5 years. Her role includes executive support to the CEO and Board of Directors, manages the Clothing Donation Program, Human Resources, Accounts Payable, and operational cross-functions of the organization. She also serves as the Secretary/Treasurer of the School-based Health Alliance. Rita has attended University of Nevada Las Vegas.  She is certified in Human Resources and Employment Laws. She has over 20 years’ experience in retail, real estate/mortgages, and as a general contractor in the construction industry. Rita is originally from New York, but grew up in Albuquerque, New Mexico, and has lived in Las Vegas since 2000. She currently resides in Henderson, Nevada with her husband and two daughters. She enjoys traveling, painting, interior design, hiking/ATV, and baking. 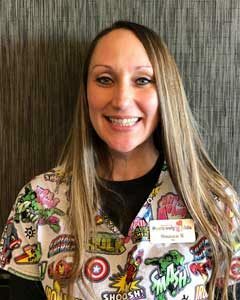 Shaunacie Marquis, RN is originally from Arizona and has lived in Las Vegas for 6 years. She graduated from Mohave Community College with her Associate’s Degree in Nursing in 2011. She is currently working as a pediatric home health nurse with Positively Kids. Shaunacie visits her patient’s at home, assessing, educating and assisting families in their children’s medical needs. 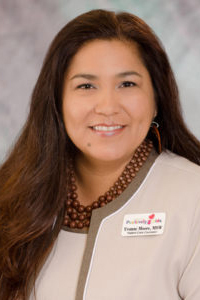 She has worked in the pediatric field for most of her career. This includes 3 years on a pediatric oncology unit. She is passionate about caring for her patients and making a difference in their lives. Her hobbies include baking, crafts, hiking and spending time with family. Michelle joined Positively Kids in 2016 and has almost 20 years’ experience in non-profit, starting when she was selected to represent LensCrafters’ Gift of Sight program in the Philippines. The majority of Michelle’s career has been educating women on how to have a healthy pregnancy, working with families who have had a child born early or with other complications, and partnering with state and local organizations and stakeholders to reduce preterm birth. Some of her proudest accomplishments include passing legislation that required the screening of cystic fibrosis and critical congenital heart defects for all newborns, opposing budget cuts that would adversely affect children healthcare, and reducing preterm birth 30% from 2006 to 2015. Michelle is a native of Indiana, and moved to Ohio as a teenager. She graduated from Wilmington College in Wilmington, OH with a Bachelor degree in biology and a minor in Spanish. She received her Master’s in Education from the University of Phoenix in Las Vegas. She made Las Vegas her home in 1999 where she met and married her husband. They have two great kids and three cats. Michelle enjoys reading, music, and traveling in her spare time, and is a huge fan of University of Michigan football. Yvonne Moore has made helping families in California and Nevada her personal mission for over 20+ years. Yvonne was a Program Manager for the County of Santa Clara’s Department of Family & Children’s Services in San Jose, CA. She is most proud of managing the Family Resource Center which housed various DFCS services and community based agencies to better coordinate programs within the foster care system and for local residents. Yvonne chose to join the Positively Kids Family in June of 2012 as a Patient Care Counselor helping caretakers in applying for Medicaid, referrals to community agencies, and was responsible for the coordination of practical pediatric patient needs from the Child Haven Healthcare Campus. Yvonne has lead all efforts in the creation and implementation of the new Positively Kids Health Insurance program. 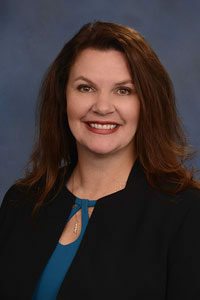 She was instrumental in her role as Vice President of Patient Relations, implementing strategies with Clark County School District, and developing partnerships. She assumed the role of VP of Early Intervention in December 2015. 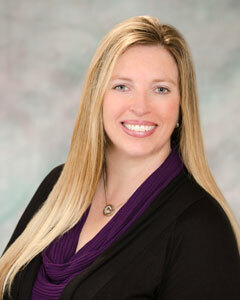 Yvonne is a graduate of San Jose State University with a Masters of Social Work. She is married and a proud mother of three who spend evenings playing tennis, hiking, and enjoying the great outdoors. Judy was born and raised in Connecticut but has lived in Las Vegas since 1978. She attended the University of Nevada, Las Vegas. In 1980, she began her career working in the Child Welfare system where she remained for over 31 years. and the clinic based at Child Haven. Her focus is on staffing, quality and maintaining the highest of healthcare standards.Judy is married and has one child. She has a passion for all types of sports and looks forward each year to participating in the Positively Kids “Swing For The Kids” golf tournament, Duck Fest and annual Gala. Mijung Kim NP-C, also known as “Mimi” was born and raised in South Korea until the beginning of her 20’s. She achieved her Master’s degree in Family Nurse Practitioner with Walden University in 2015 to become a medical provider. 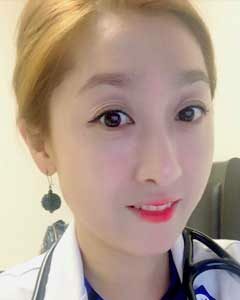 She has been a medical provider since 2015 and worked as a hospitalist in internal medicine and primary care provider. She has a lot of passion in her profession and believes in caring. She is funny and has a bright personality. Her nickname is “VitaMimi”. She loves to do Zumba, Commit Dance Fitness, movies and reading. She also has her lovely Chihuahua whose name is “Kami”. She is very excited to join Foundation for Positively Kids and ready for her new adventure.